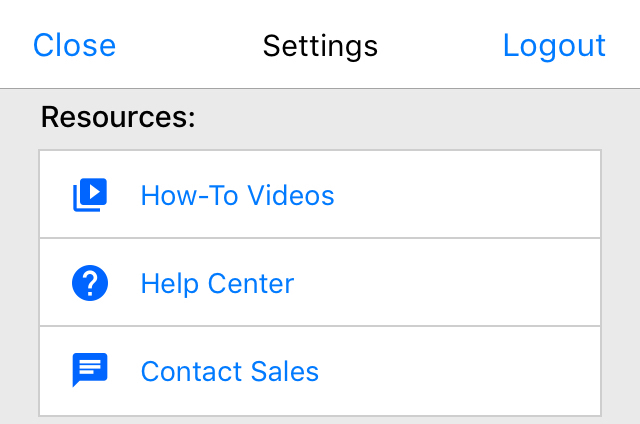 Find out how to navigate and utilize the in-app settings for our iOS app. 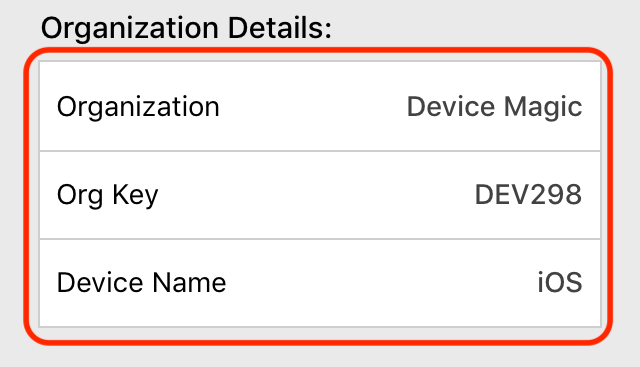 There are many useful options that can be customized from within the Settings of the Device Magic app. To access them, click the icon in the upper left hand corner. At the top, you will find the Resources section. How-To Videos - A list of videos to help you get started using Device Magic. Ex. building a form, creating a destination for your data, etc. Help Center - A link directly to our Help Center to help you more easily find answers to your questions. Contact Sales - Speak to a member of our team. Next, you will see information about which Organization your device is connected to, your Org ID, as well as the name of your device (which you created when you joined your team). Then, you will find the Device Settings. The App Version displays which version of the Device Magic app you are currently running. This helps you make sure you're running the most up-to-date version for a smoother experience. Enable Detailed Logging sends device data, such as error codes, back to Device Magic to help our Support Team pinpoint any problems that you may run into while using the app. Next, you can customize the number of days you would like to keep your submission history in your "Uploads" tab. Note: the more days you keep submission history the more memory is used to operate the app, so keep that in mind. When you make use of image fields in your forms, you will have the opportunity to choose whether you would like these images to automatically save to your device's Gallery in the "Save Images to Gallery" setting. In the next setting, you will be able to create an iTunes Backup of your forms to save to your computer. Finally, through the Settings page you also have the ability to authenticate the our Web App (available on our Enterprise Plan) where you can fill out your forms from a desktop computer. Click here to learn more about the Web App. 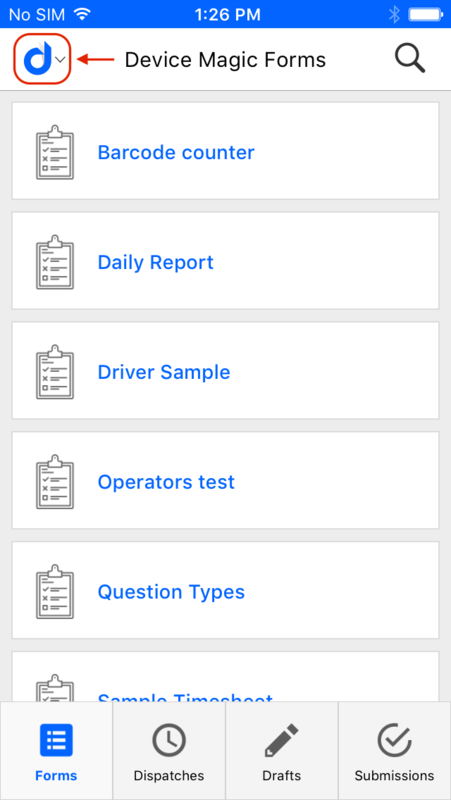 If you have any additional questions concerning the Settings within the Device Magic app, feel free to reach out to our Support Team at support@devicemagic.com.